If you want to take control on hidden features of Samsung Galaxy A5 2016 or any A series of 2016, the features which are only available for developers. This guide is for enable the “Developer Option” in Samsung Galaxy A5, A3, A7 2016. Developer Option will lead you to access “USB Debugging Mode” and if you want to Root your device or “Unlock” the phone so access to the Developer Option will help you doing this. This method works for the “Samsung Galaxy A310F”, A510F, A710F. 4. In Software info you’ll see “Build Number” now Tap 7 times on this option slowly. 5. After that, You can see the Popup Message on your screen, says “Developer mode has been turned on“. Now go to “Settings” again, and scroll down then you can see “Developer Options” just above the “About device”. Tap on it and now you’ll have access to “USB Debugging” , “Desktop backup password” and “OEM Unlock” you can turn on OEM Unlock to root your device. This guide will help you to access all the hidden features in Developer Options, Works for Samsung A5 2016, A710F, A310F. Enable developer options in Samsung A5 2016, If you are still having any issues regarding “Developer Option” in your phone. So, feel free to comment below. How to ROOT Samsung Galaxy A5 2016 with Odin and CF-Auto-Root file? 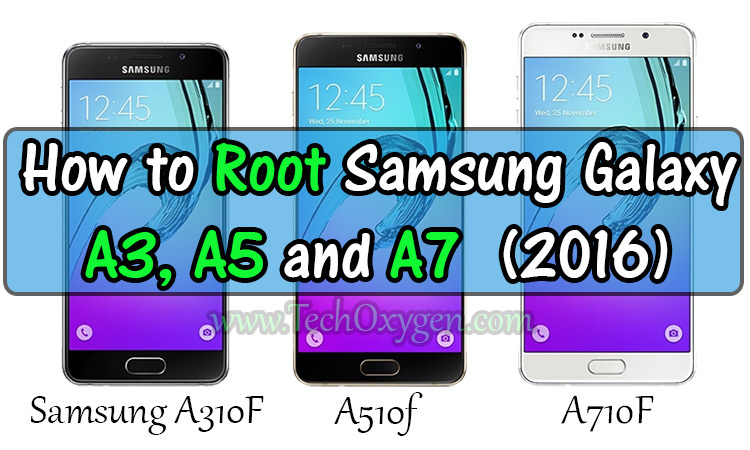 This guide is for perform Root on Samsung Galaxy A310F, A510F, A710F. If you want to unlock the hidden features of your device or you’re facing low performance or maybe there are some applications which you can’t delete or remove and you want to remove unwanted applications. So, this Root method will solve your problem and increase the performance and will access you to full data backup of your device. 2. When you access to the home page of that link, Press : “Ctrl+F” from your keyboard and enter your Phone model number. You Can enter these Model numbers for your device “A310F, A510F or A710F. 3. Enter your phone’s model number and click enter to find your device model number on that page. Just click on “Download”. 4. On Download page click on “Download CF-Auto-Root-a5xelte-a5seltexx-sma510f.zip“, REMEMBER this code is for Samsung A5, but the code will different for each device. 5. When your download is completed, Open the file and extract the folder to your desktop. 6. Go to that folder and open “Odin3-v3.exe” Application and leave it to your desktop. Now you need to first access to the “Developer Options” in your phone so go to this link to access the Developer Options first. 7. After access to the “Developer Options” go to Settings of your phone and scroll down to Developer Options and tap on it. 8. Finally Here you need to enable “UEM Unlock” and “USB debugging“, after that “Power Off” and press “Volume Down+Home Key+Power Key” simultaneously. 9. Press “Volume Up” when you see Warning message on your screen to put your phone on “Download Mode“. 10. Now connect your phone to your PC or Computer. Once your phone is connected, Go to “Odin3 Application” in the computer and click on “AP” to select your “Root File” which we have already extracted to the desktop. 11. As a result click on “START” in Odin3 application to start the process of “Flash or Root” for your phone and wait until this process is complete. 12. Once your phone restarted just disconnect the USB Data Cable and now your phone is Rooted completely. I hope this guide help you to Root or Flash your Samsung A5 2016 or A3 and A7 2k16 phone. If you’re still having problem to ROOT Samsung Galaxy A5 2016 device just feel free to comment below and I’ll help you.